Raise your hand if you take Yoga classes. Now raise the other one if your kids take Yoga classes, too! A few months ago, my kids thought a Warrior pose was something the characters in Mulan did. But how things can change in the matter of one month...or even one day! As a homeschooler, I'm always looking for ways to get my kids moving. I actively seek out products and resources that make them focus on making their bodies strong and healthy. But my kids are already extremely active on their own, so a product that slows them down and helps them find a teensy bit of inner peace is like gold for me. 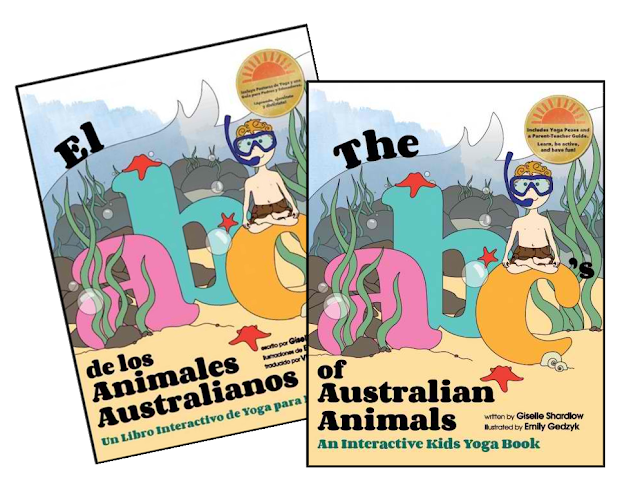 The ABC's of Australian Animals is a fun interactive Yoga book for kids. 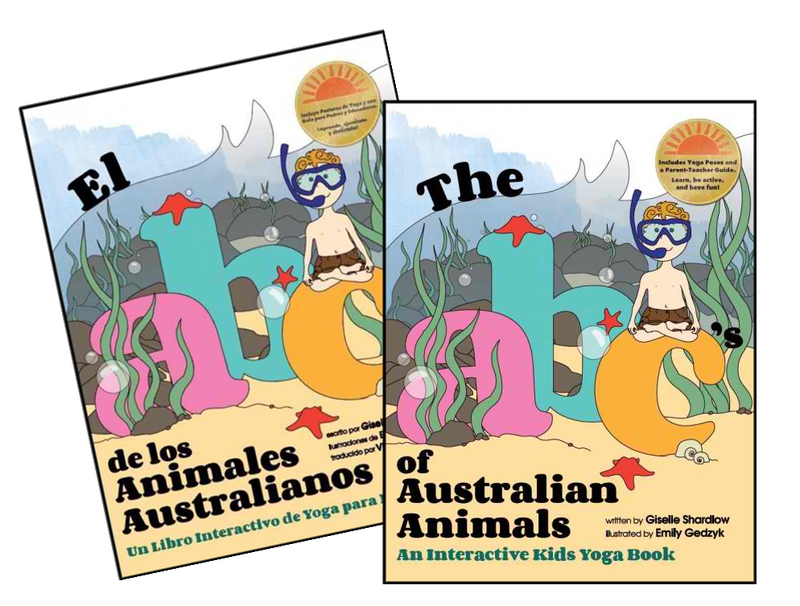 Each page focuses on a different letter of the alphabet and includes an Australian animal whose name begins with that letter, and a yoga pose for your child to try. As you can see, the illustrations are lovely. Some days we go through the book randomly trying to do the poses. Other days, I have the kids do one of the poses whenever they need a mental break during school. To make things easy on us (the readers), the author - Giselle Shardlow - has listed all the poses together in case we want to run through them all without going through the whole book. I've been toying with the idea of starting off our mornings going through all the poses to prepare us for learning. Doesn't that sound like a great way to start your day? I need to get out my old Yoga mats and blow off all that dust, because I'm reminded that those long ago days when I took Yoga classes were one of the few times in my life that I felt truly healthy and fit. I also like that there is a Parent-Teacher Guide included in the back. It gives helpful tips like carefully choosing complementary music to make the moment more inviting and relaxing, or developing breath awareness by having your child practice inhaling and exhaling in a "light-hearted way." 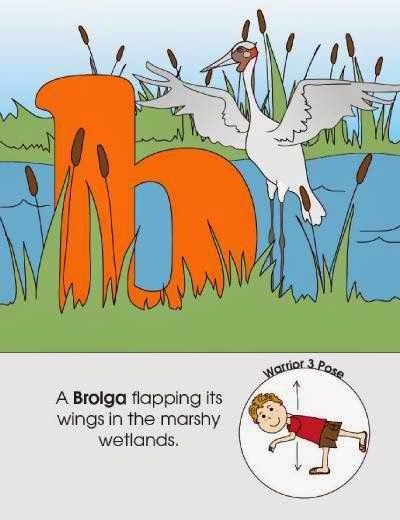 Although I think this book is targeted toward preschoolers and kindergartners who are learning the alphabet, my older kids in 2nd and 4th have enjoyed looking through the book and practicing the poses. And I know that you, dear readers, will love the fact that the book also comes in a Spanish edition! I think this would make a great holiday gift, don't you? But there's more! If you visit the Yoga Stories website, you'll find a coloring books and other themed Yoga books (like beach life and jungle animals). And, yes, they're available in Spanish, too! Disclosure: I received a copy of The ABC's of Australian Animals for the purposes of this review. oh, i love this! I was in Australia earlier this year and visited the Sydney zoo. I saw some beautiful animals but would have liked to spend more time in the wild. I was able to, but more time for sure. Thanks for sharing this.